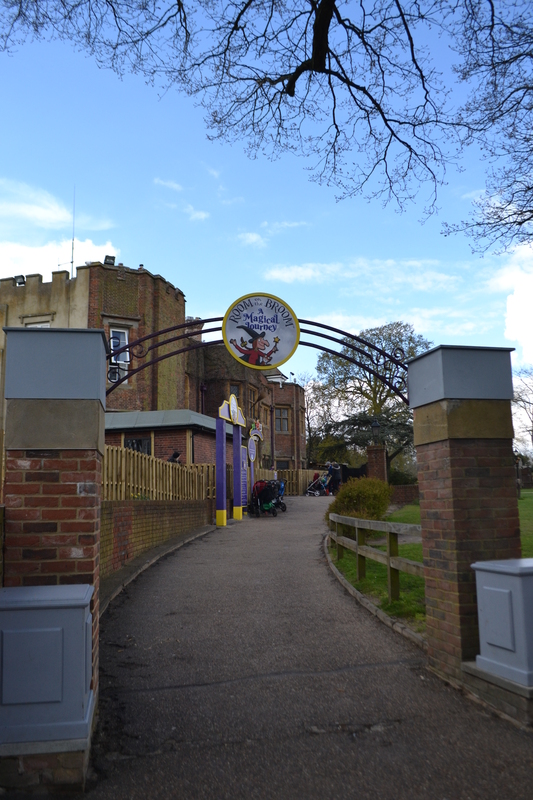 With the successful launch of the “Gruffalo River Ride Adventure” back in 2017, it has come as no surprise that a bigger presence of Julia Donaldson’s and Axel Scheffler’s books can now be found at Chessington World Of Adventures. 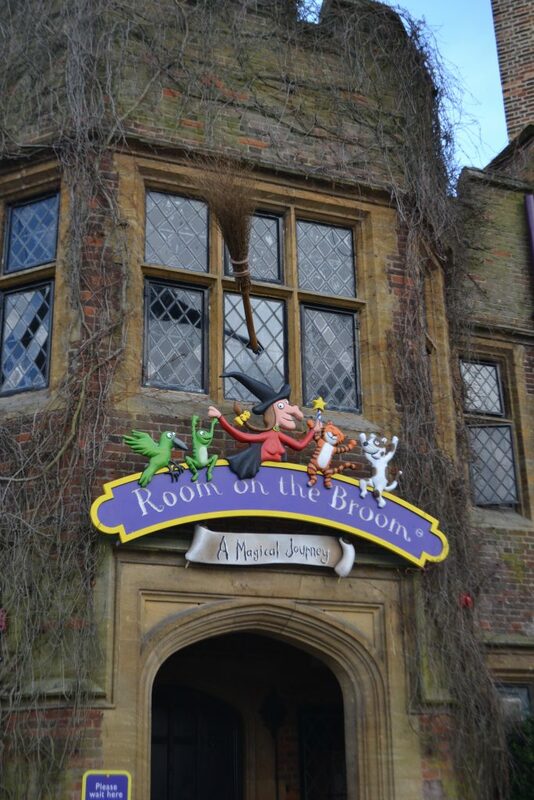 This year the park has introduced “Room On The Broom – A Magical Journey”, based on the famous children’s book. This is a re-theme of the parks walkthrough attraction “Hocus Pocus Hall”, Which closed down last year to make room for this new attraction. On the 3rd of April 2019, I headed down to the park to experience and review everything this attraction had to offer. When approaching the attraction from the outside, you are presented with a very vibrant and engaging entrance sign, featuring all of the characters from the book. You can also find a broom wedged into the main windows, which has a fun smoke effect built in. Unfortunately, apart from this theming element, the outside queue and other areas are quite bare. The queue is a basic cattle pen queue with no shade. Luckily, on my visit, I only had to wait for around 10 minutes before entering the attraction, so this wasn’t too much of an issue for me. However, if you were having to wait for 30/60 minutes, I can’t imagine it being an enjoyable queue. Once you step into the first room, the atmosphere completely changes as you become completely immersed into the world of “Room On The Broom”. 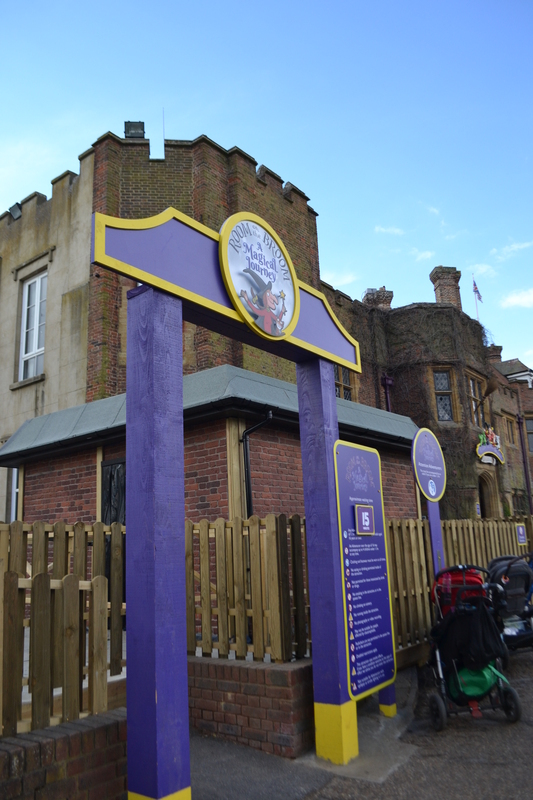 The music, smells, projection mapping and special effects used within the attraction, really works well to create a captivating environment for the kids and parents to explore. With this attraction having the same footprint from the old attraction, I believe they have utilised the space the best they could with the restrictions of the old layout. The rooms are very small and can be difficult to fit everyone in a single room. Depending on where you are within your group, your experience can differ from person to person. All of the room’s animatronics and set pieces are very well executed and help progress the story along. Almost every room inside the attraction is interactive which really gets the children excited and engaged in the book’s storyline. The run though I had with this attraction, was led by a staff member. This allowed our group to experience each room as intended, without missing out on any of the shows/interactive moments. From what I’ve heard, the long term plan is to make this attraction automatic, so that everything is based on sensors and timers. I can’t see this working in an effective method, as most of the rooms you enter take a good amount of time before the people at the back of the group catches up to the front. I fear the overall experience could be ruined if this method is implemented. 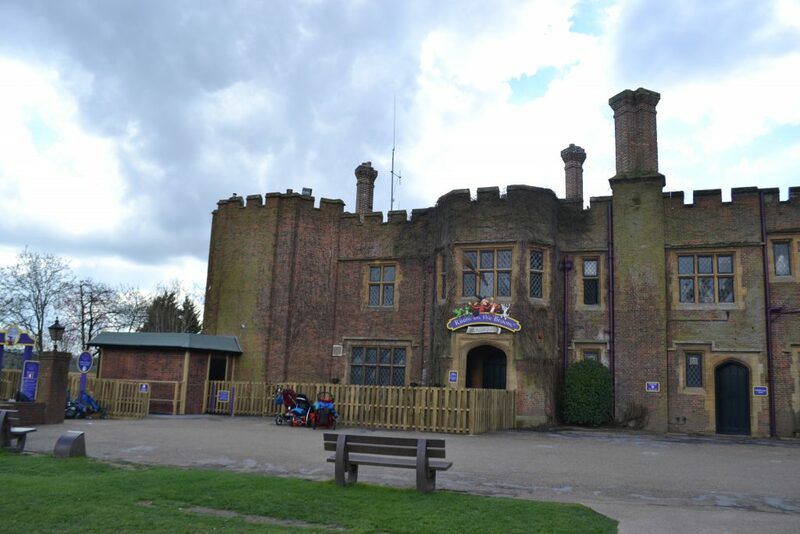 Overall the staff were very friendly and effective in getting people in and out of the attraction. 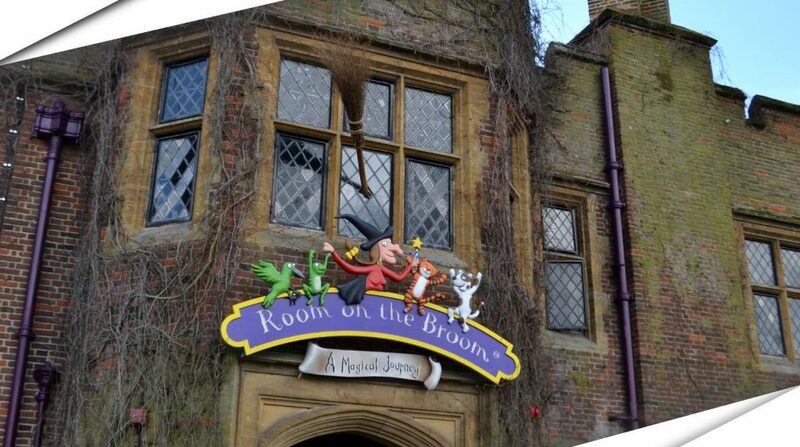 “Room On The Broom” is a very fun attraction which is perfect for young ones. If you enjoyed the “Gruffalo River Ride Adventure” at the park, then you love this attraction too. I wouldn’t wait for any more than 30-40 munites for this attraction, but it’s defiantly one you want to try out if your planning on bringing younger members of your family/group. I would give this the attraction and overall score of 4/5 in its current state.